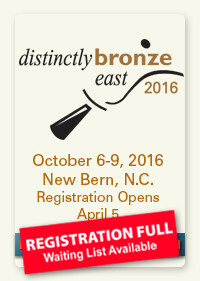 Pre-Register for National Seminar and Save! Music educator Marilyn Lake brings you “Handchime Curriculum for Schools,” based on the nine content standards in music education (MENC). 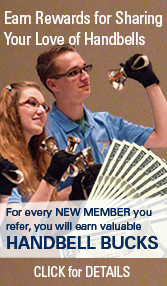 Handbell Musician Resources are free to all current Handbell Musicians of America members. If you’ve not yet seen our first ever Virtual Handbell Ensemble, have a look HERE. Help us get as much exposure as possible by commenting and sharing. WE’RE HALFWAY THERE! WE NEED 600! 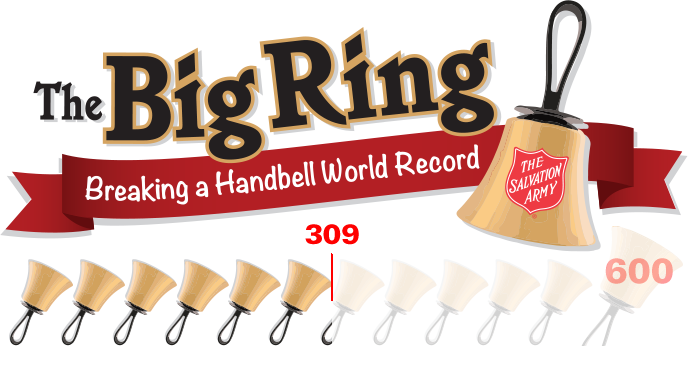 Handbell Musicians of America is partnering with The Salvation Army and the Mall of America in Minneapolis, Minnesota, to break the Guinness World Record for the largest performing handbell ensemble and we need YOU to help us do it! Join other handbell musicians at the Mall of America at 11 a.m. CST, on Saturday, November 19, and help us make history. Participate with your full choir, partial choir, or as an individual. There is just a small registration fee ($5.00/person) which will cover the cost of music. The selection committee for the David R. Davidson Composition Contest has completed its review of all submissions and selected a winner. We are pleased to announce that the winning composition is “Wonderdance” by Robert Riker of Allentown, Pennsylvania. 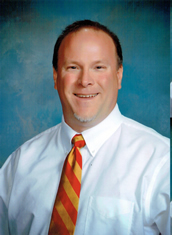 Mr. Riker is a graduate of Bucknell University with a Bachelor of Arts in Music. While at Bucknell, he studied composition and conducting under Dr. William Payn, an Honorary Life Member of Handbell Musicians of America and was a member of the Rooke Chapel Ringers. While he has no published works, he has composed and arranged works for handbell choir, vocal choir, and pop a cappella ensemble. 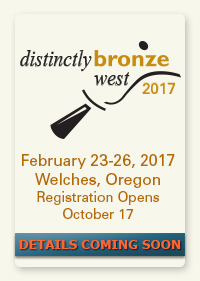 “Wonderdance” will be published by AGEHR Music Publishing and premiered at Distinctly Bronze West, February 23-26, 2017, under the direction of Kathleen Ebling Shaw. The composition contest was established on the occasion of the 10th anniversary of Distinctly Bronze in honor of the event’s founding conductor David R. Davidson. 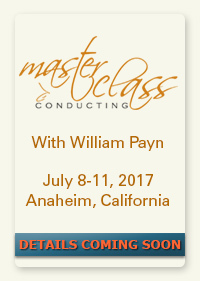 It was created for the purpose of encouraging new and young composers to write original works for advanced handbell ensembles. 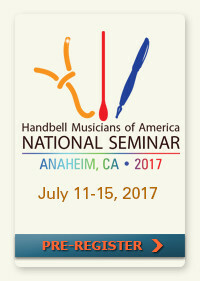 Calling all college handbell musicians! 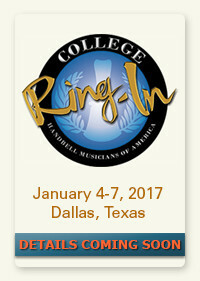 Join us in Dallas, Texas, January 4-7, 2017 for the 2nd College Ring-In. This event brings college students and recent alumni together for three days of ringing under the direction of Michael Joy, culminating in a public concert on the final day. Participants will be given their own individual ringing assignment to prepare in advance and the join other attendees to rehearse and polish the music for the final concert. The event also includes a reading session of unpublished compositions and arrangements submitted by participants. We’ll have publishers and editors from the handbell industry on hand to provide advice and guidance regarding copyright permissions and the publication process. 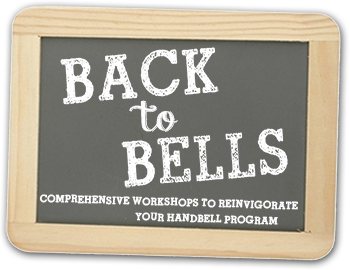 For the second year, Handbell Musicians of America is offering free workshops to directors and ringers around the US. This year’s program is well underway and a big success with over 500 musicians attending workshops in 62 locations. These events cannot happen without the generous support of our workshop hosts, instructors and coordinators, who all donate time and space to make the program a success. 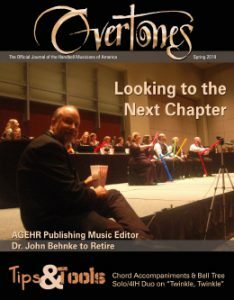 Even with the generosity of these volunteers, there are still considerable expenses involved to market these events, print and ship curriculum books, and provide administrative and management support. You can help offset these hard costs with your tax deductible contribution today. Help us meet our goal to raise $10,000 to support this program by the end of September. Donations can be made online with a credit card by following THIS LINK. Donations by check are also welcomed and should be mailed to Handbell Musicians of America, PO Box 221047, Louisville, KY 40252. Please note Back to Bells in the memo on your check. We are blessed to have so much music in the world. And specifically we are blessed to have so much handbell music in the world. I’m sure over the summer you have received many promotional booklets from bell publishers with CDs to listen. The hard part for me is finding the time to listen to all of them and decide on what my bell choir should play. This month’s featured piece, is the perfect Sunday morning prelude. It’s a wonderful setting of O Worship the King AG35346 by Michael Mazzatenta, a Level 2 piece, for 3 to 5 octaves of handbells. It sets the tone for worship so very well. After a fanfare beginning, the tune is clearly presented. Then thumb damping chords begin and the melody is presented in canon between the upper treble and the low bass bells. I asked Michael if he had any favorite parts and he said, ” I love the imitative/motivic writing I came up with for the transition that sets up the last verse. It features 3-part canons (m. 66-81) and hemiola (m. 82-86).” It’s not often you see or hear intricate canonic writing in bell music. 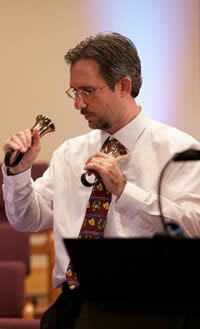 It’s really quite different handbell music. And Michael does it with great skill. The beginning fanfare returns to finish off this fine prelude in glorious style. Michael is no stranger to the bell world having numerous compositions in print. He says,“I was born in Ohio, grew up in Michigan, lived in Arizona most of my life, and currently reside with my wife Joan in Texas playing freelance gigs on organ and piano for church, school, community choir, and musical theater. My church handbell director graciously lets me submit my latest pieces for the group to play in worship.” Now I say, that’s one lucky bell choir and director having their own resident composer. All of us should be so lucky. There is lots of different music in the world, but this is not your usual music. It’s well-crafted music arranged by a skillful composer. Take a listen to O Worship the King AG35346 by Michael Mazzatenta by clicking on this link and enjoy something different.